This store has been in the Cape Town CBD since 1997, and is run by owner Caroline Rillema with Lyzette Tanski and Simone Norval. This is the engine-room of the business, where all stock is held in bulk, and a huge range of South African wines are kept. We have good allocations of all the top small-vineyard wines. 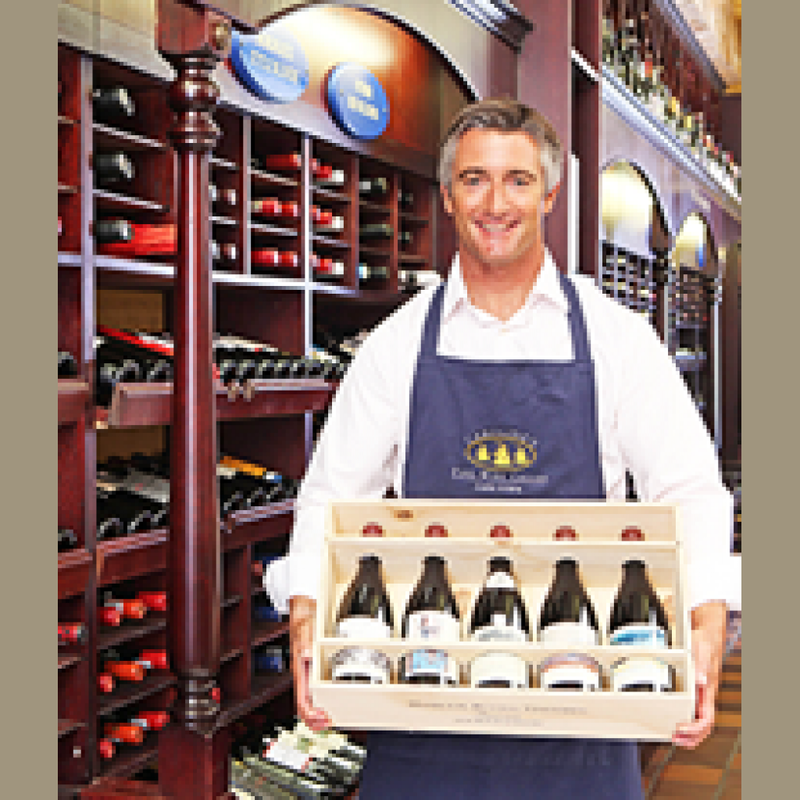 We hold the largest range of European wines in any retail store in South Africa. From France we have Champagnes, top Bordeaux , over 30 Burgundies and 15 from Chablis and the Loire. From the Rhone we have Cotes-du-Rhone, Chateauneufs, Crozes-Hermitage, Cote-Rotie, Hermitage and many more. That is not to mention Germany and Alsace! Our forte is Italy and our selection is superb and vast – most of it imported directly, so there is no middleman: we have single-vineyard Barolos, Brunellos from Montalcino, Chianti Classicos, Gavi and Super-Tuscans such as Tignanello and Ornellaia… from Spain we have Rioja and fine Sherries. We can pack wines for you to travel with, in special boxes with polystyrene inners. They come in 2’s, 3’s and 6’s. We deliver all over South Africa as well as the world. All you have to do is choose your wine, and we will do the rest to make sure that it arrives safely at its destination in good condition. Our message is simple: Great variety, great product knowledge by staff, and most importantly: if we don’t have what you are looking for, we will try our best to acquire it for you! Oh and by the way, go to our EVENTS PAGE to see what our tasting programme is offering.